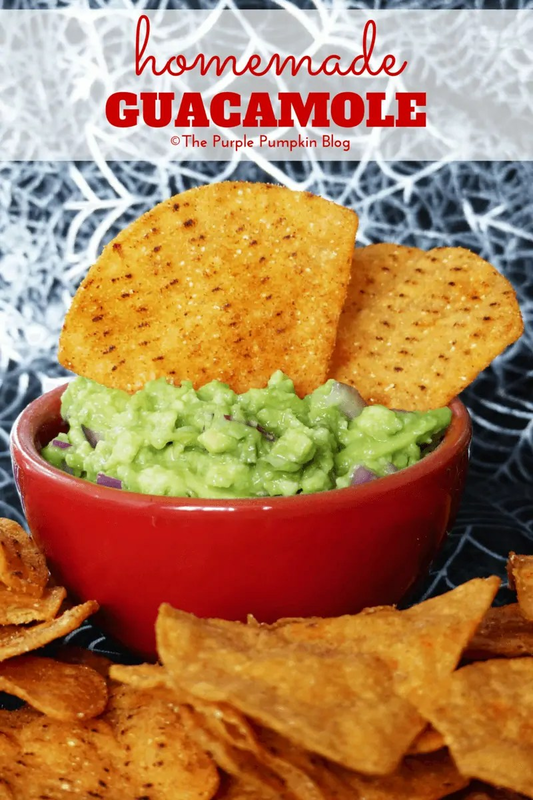 My family love my homemade guacamole and it’s so easy to make that there is no need to buy that fake green gunk that you can buy in the supermarkets! This is another recipe that I prepped for our family Halloween get together. Halve the avocados and remove the seed. Scoop out the flesh into a bowl and mash with a fork. Stir in the red onion and chilli pepper. Season to taste with lime juice and garlic salt. Serve with tortilla chips or as a topping for chilli con carne or tacos. We love Guacamole. The real challenge for me is finding the perfect avocado! You cant beat the homemade stuff, so much nicer than shop bought! This is a very good recipe and handy for entertaining.